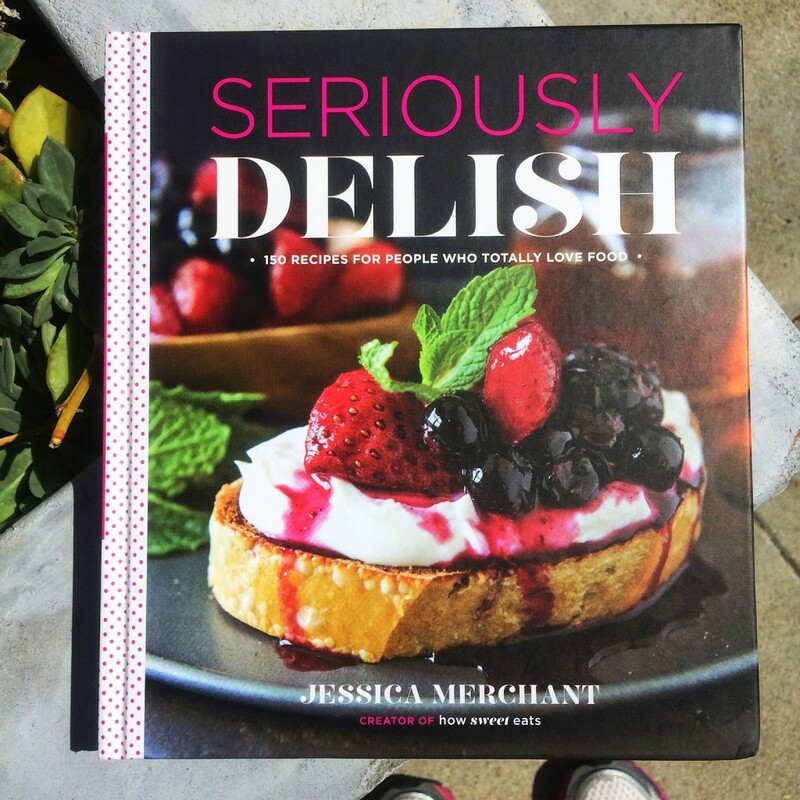 If you know me, it’s no surprise that I am in love with Jessica’s blog, How Sweet Eats. Like no joke. Huge blog crush here. It’s one of the first food blogs I ever started reading YEARS ago and it’s the only one to this day that I NEED to read everyday. Her blog has always made me laugh and feel like we’re friends, but more importantly she was always a huge inspiration in the kitchen as I moved away from mixes to making things from scratch. Before my own food blog days, I would make her peanut butter hot fudge cupcakes with my friend Carolyn in our little dorm kitchen. We also made her fudgey brownie cupcakes for our friend Ala’s birthday and I’ve made them for my brother’s birthday before. I’ve made her spinach and artichoke pizza with that killer garlic herb crust and every time it wows the crowds. She inspired me to try brussel sprouts again after a bad experience as a child. She taught me how to brown butter. Her blog is the first to go to if I need inspiration, if I want to do recipe research (since I’m still working on developing things myself), or if I need to meal plan for myself. Oh, and the day I suggested something to her on Facebook regarding quinoa in granola bars? And then she made them and linked to me on her blog? I died. Basically, she’s my unofficial mentor, without actually knowing each other. Anyway, I never preorder anything and I rarely buy books but as soon as I saw that she had a cookbook for sale? I counted down the days until it would come out. But then I realized I wanted to guarantee I could have it the day it was released, so I preordered something for the first time in my life. And boy. When I saw that package waiting for me outside my door? Definitely a highlight for my summer. Seriously Delish actually is seriously delish. I carried it around with me everywhere for days, reading a chapter here and there and before bed. Like no joke. I got it on Labor Day and I brought it with me to the gym, the bar when I went to visit a friend who was working, and it lived in my purse for the next 3 days. It is just like reading her blog and the recipes? Oh the recipes. I tried to go through and sticky note pages I wanted to try. Unfortunately for me, that was literally every other page and I ran out of sticky notes about 2 chapters in. 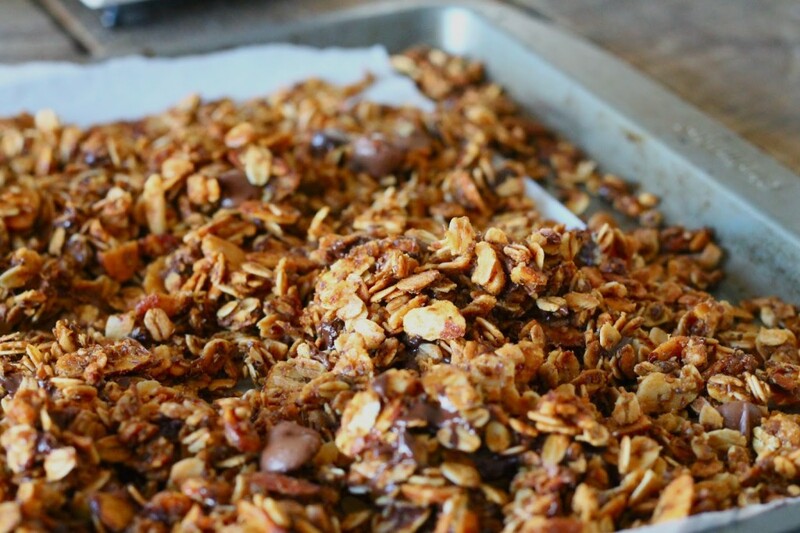 I wanted to pay tribute to her, especially because of how much of an influence she has had on me, and given that I make her oatmeal cookies all the time for my mom (they’re her favorite), I figured I should make the granola version for myself. It’s delicious. It tastes just like an oatmeal cookie. No joke. It’s delicious plain and by the handful, or with some greek yogurt or maybe some almond milk. My friends snacked on some and they loved it too! It’s been my breakfast all week and I’m excited to try out the other 149+ recipes in her book! If you haven’t already gotten it, please go get it. She has sections for breakfast, lightened up treats, soups and salads, tex-mex and pizza, and then my favorite section: Celebration (for times when calories don’t count). In a large mixing bowl, whisk together oats, almonds, flaxseed, brown sugar, cinnamon, and salt. In a small saucepan, combine honey, browned butter, coconut oil, and vanilla extract. Heat over medium heat until warmed through the mixture is smooth. Pour over dry ingredients and gently stir together until everything is coated. Spread it out over the lined baking sheet. 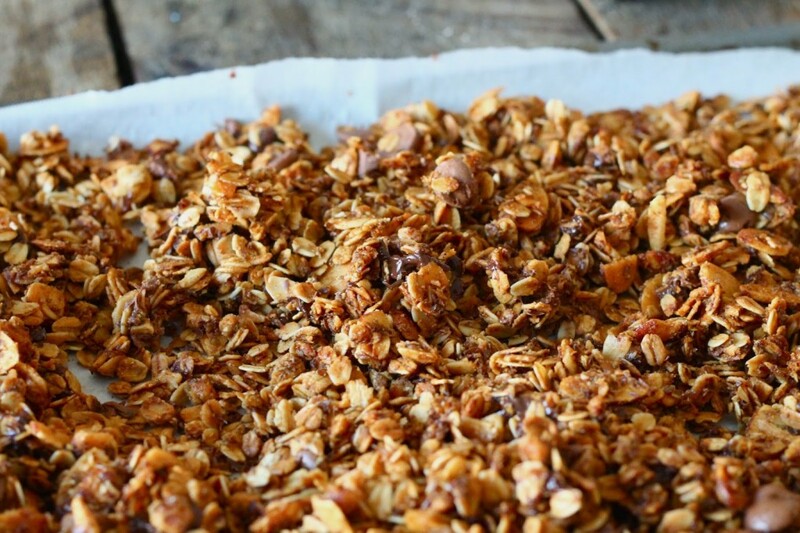 Bake for 10 minutes and then remove pan and toss the granola. 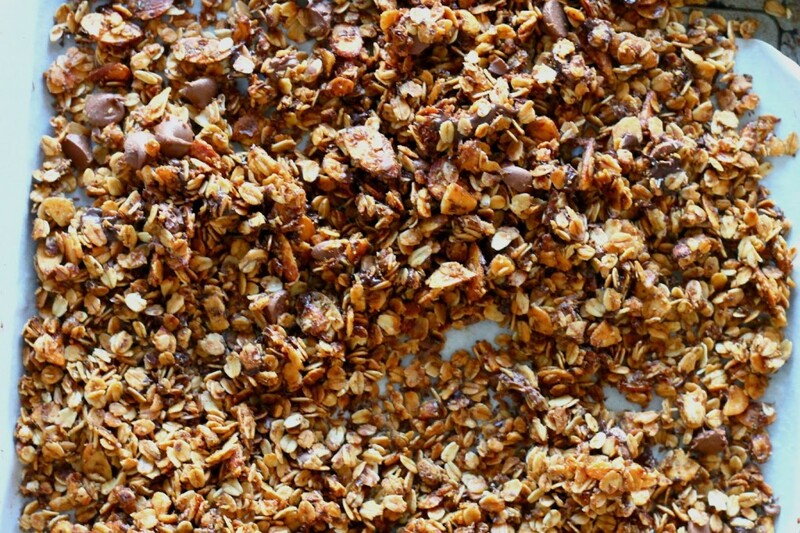 Bake for 10 more minutes and toss granola again. Bake for 5 minutes, toss, bake 5 more minutes, and then remove from oven. Let cool for 10 minutes. 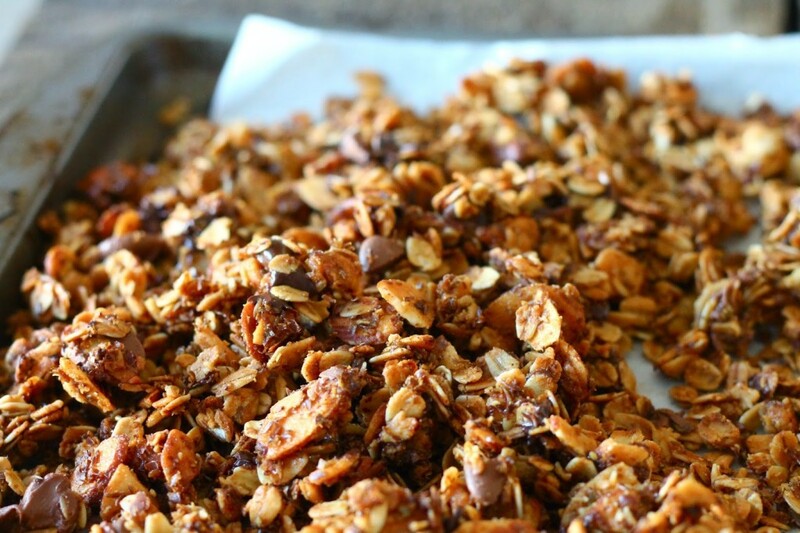 Add chocolate chips and gently stir them into the granola. 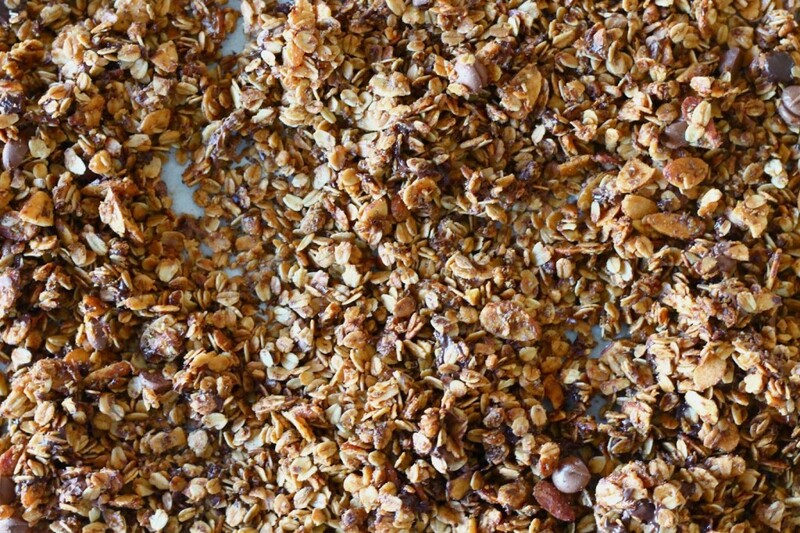 Let granola cool completely and then store in air-tight containers.